Starring Leonardo DeCaprio, Joseph Gordon-Levitt, Ellen Page, Marion Cotillard, Michael Caine, Ken Watanabe, Cillian Murphy, Dileep Rao, Tom Hardy, Tom Berenger, Peter Postlethwaite, and Lukas Haas. One can’t argue that the cinematic medium makes passive audiences of us all. Countless movies – comedies, dramas, westerns – you name it, we viewers plop into our seats, chomp popcorn while the action unfolds and carries us to the rolling credits, snapping us out of our trance. Christopher Nolan’s tour-de-force isn’t your usual heist film. Sure, some of the elements are there – an international group of thieves, the Job, and a ticking clock deadline. After that, it’s a whole different type of film altogether. 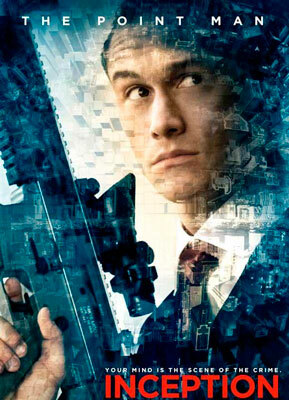 Described as a “sci-fi heist thriller”, Inception demands a lot more than blink-blink, chomp-chomp. The Job - Cracking into a grieving energy mogul’s (Robert Fischer, played by Cillian Murphy) unconscious mind to plant an idea. The Thieves - Led by guilt-ridden Dom Cobb (DiCaprio), the Team swells to include point man Arthur (Joseph Gordon-Levitt), architect Ariadne (Ellen Page), chemist Yusuf (Dileep Rao), forger Eames (Tom Hardy), and mega-rich client Saito (Ken Watanabe). They must share a drug-induced dream down three levels, something that hasn’t been done successfully - yet. Each member of the team – except Saito and the sleeping Fischer – carries a totem, a special item that reminds them they’re in a dreaming state. The Ticking Clock Deadline – Extraction, the act of removing ideas from someone’s mind, is the standard practice among the world of corporate espionage that Cobb inhabits. This two-level process requires the Architect to build a complex world of mazes that the team can move about in freely, as the team descends deeper into the levels of shared dreaming. The Chemist provides the powerful sedatives as the Point Man keeps track of the “kicks” meant to move closer to the waking state. A Forger can replicate into someone else, for the purpose of misleading the potential victim. 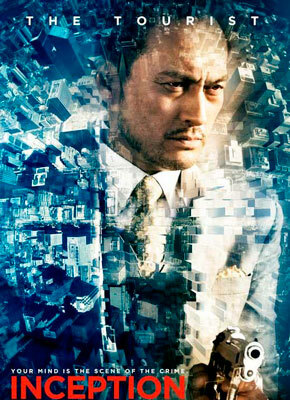 Inception – the job that Mr. Saito is paying for – requires the team to enter a third level, which is considered a risky and unstable realm to control. Are you still with me? What moves Inception beyond the Sci-Fi heist genre is the underlying dramatic obstacle that threatens to engulf Cobb into a permanent fourth level of sustained madness, along with his late wife, Mal (Marion Cotillard) – and puts the entire team into harm’s way. One aspect of this “dream-within-a-dream” environment is that injury can occur, which awakens the participants, but death is the “risky factor” in a third level. Cobb – on the run after being blamed for Mal’s death - agrees to the job after Saito promises to clear his name, so he can return home to his waiting children as a free man. The puzzle for Cobb is that he uses his free time to enter a fourth level of dream state because it seems more real than his life without Mal. When is he awake? Is it when he’s dreaming? Cobb’s unconscious longings and obsessive day-dreaming allows Mal to freely wander into the job, as a seductive wild card that endangers the entire assignment at every level. Ariadne’s task is compounded as Cobb looks to her for guidance to sort through the complex network of sorrow and desperation, while seeking to bring the job to a successful conclusion. 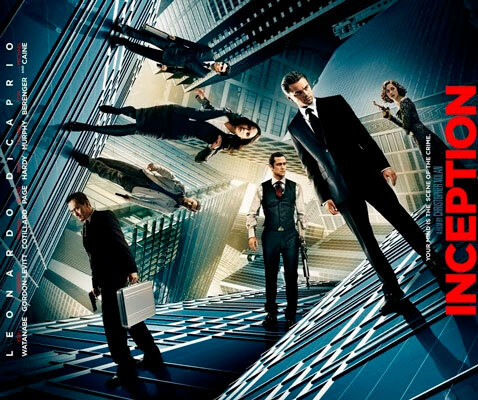 Inception dares the audience to fully consider this multi-dimensional experience - but the only drawbacks are the casting of Marion Cotillard as Mal and Leonardo DiCaprio’s occasional over-acting. Ms. Cotillard’s constant refrain of “you promised…” begins to detract from her otherwise adequate performance after the third time. It wouldn’t grate on our nerves if she had varied her delivery just a bit, but then isn't that what Cobb remembers? As for DiCaprio – after almost 22 years of experience he still has a problem with key scenes that demand intense emotion. Hanging out of a window, melodramatically screaming “Oh my God, no!” leaves one wondering why this otherwise gifted actor can’t move beyond such overblown histrionics. It took nine years of film experience and research for Christopher Nolan (The Dark Knight, Memento, The Prestige) to bring his ideas about lucid dreaming to life as Inception. The film takes place across England, France, Tokyo, Tangiers, Los Angeles, and Canada, as the Team races to the heart-hammering finish. Nolan’s film boasts a flawless musical score by Hans Zimmer, countless special effects and elaborate sets, not to mention a script that demands the viewer see the film at least twice to truly relish this unique cinematic creation. 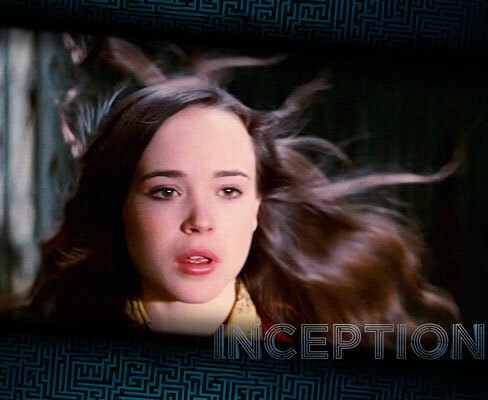 While such ho-hum movies like The Social Network may scoop up awards this year, rest assured that Inception will be viewed, imitated, and written about for decades to come.